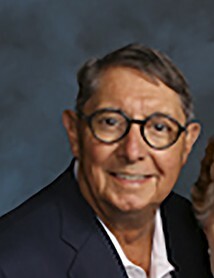 Dana Bullard, 71, of Bluffton, SC, husband of Harriett Bailey Bullard, passed away Sunday, December 2, 2018 at his home. Dana was born March 20, 1947 in Gadsden, AL to the late James Cecil Bullard and Xavier Glazner Bullard. He attended the University of Alabama, where he pledged Kappa Alpha Fraternity, and resided in Birmingham, AL from 1980 until 2016. Dana served as Vice President of Max Foote Construction and was a member of St. Mary’s on the Highlands Episcopal Church. Upon retirement in 2016, he moved to the Belfair Plantation in Bluffton, SC. He loved Alabama Football and golf. In addition to his wife, Dana is survived by his son, Gabriel Clifton Bullard of Sante Fe, NM and daughter, Cecile Bullard Shaw (Robert Bruce Shaw, Jr.) of Charleston, SC. The Bullard family would like to extend a heartfelt thank you to the staff of Amedisys Hospice for their compassion and care during this time. A memorial service will be held at 11:00 am, Tuesday, December 11, 2018 at St. Mary's on the Highlands Episcopal Church in Birmingham, AL. In lieu of flowers, donations may be made to Church of the Cross Food Bank, PO Box 278 Bluffton, SC 29910 in memory of Dana Bullard.